Book Excursions & Things to Do in Croatia - make the most of your holiday! Let us arrange your transfer & car hire on your behalf so you can relax..
SLEEPS 12: Fantastic, high spec, sea edge property. Wander to restaurants, bars & shop. Trogir Old Town & unspoiled beaches a short drive away. SLEEPS 4 : Charming villa has one of the best locations in sought after Mlini Bay sat just one house behind the sea edge in the centre of the sweeping bay. SLEEPS 10: 5 Bedroom just 10 minutes walk from the beach & restaurants in Mlini Bay & with stunning views, the location here has it all. SLEEPS 14+2: Beautiful villa is situated in the centre of the village of Mirca & located right on the beach. SLEEPS 10+2: Idyllic location in stunning bay with beautiful beaches on the edge of Sumartin Bay. SLEEPS 12: Stylish, relaxed living with sea views, infinity pool and a beach on the doorstep. SLEEPS 8 +2: Luxurious 5 bedroom villa is right on the seafront in lovely Milna Bay completed in 2017 to a very high standard. SLEEPS 15 + 5: Large 9 bedrooms stone house a short wander from the sea, restaurants & village in the beautiful, calm bay of Zaton, close to the Old Town of Dubrovnik. SLEEPS 8: Newly built with a relaxed clean contemporary feel located on the edge of the lovely village of Selca, Brac Island. SLEEPS 6: Villa is a superbly located on the beautiful island of Ciovo - this lovely 4 bedrooms villa is in a sunny position, and has recently been renovated. 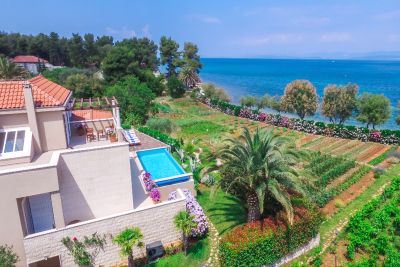 SLEEPS 6+2: Gorgeous pool area and garden in sought after Sumartin Bay - pretty little authentic Dalmatian town with sea edge restaurants and beautiful beaches. 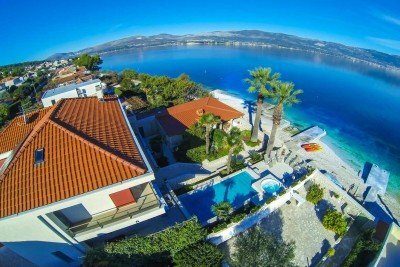 SLEEPS 10: Great location by the beach with Trogir Old Town a few minutes away on one side and more beaches and restaurants on the other. SLEEPS 6+2: Villa is only 200m from the main beach and beach bars of Okrug Gornji and is set to be a very popular venue for groups of friends or a family. SLEEPS 6+2: Fantastic location just 80 yards from the first beautiful beach in Mlini Bay, an easy wander to the little harbour, water taxi's, sea edge, restaurants. 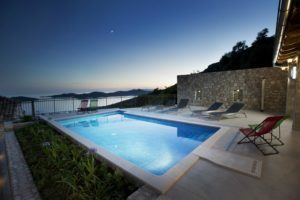 SLEEPS 6+2: A pool with a view - just 10 minutes walk to the beaches of Mlini Bay & 10 minutes drive from Dubrovnik Old Town, this is a beautifully finished villa. 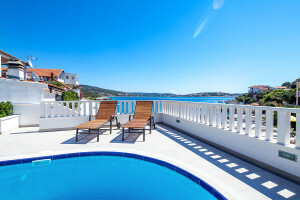 SLEEPS 8+2: Ideal location in Mlini Bay with beautiful beaches and restaurants just 10 minutes walk away - a boat line to islands and Dubrovnik Old Town is an added bonus. SLEEPS 12: Stunning property overlooking the old town of Cavtat - with luxurious pool and terrace & views all the way to Dubrovnik Old Town! 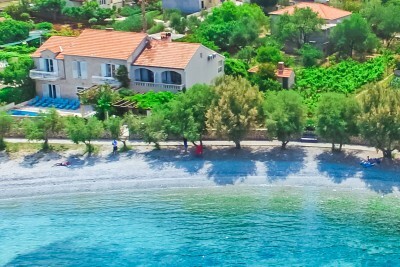 SLEEPS 10 : The lovely 5 bedrooms villa is situated right in the centre of the picturesque village of Sumartin on Brac, only a moment from the sea. SLEEPS 6+2: Gorgeous with good sized pool & privacy, great BBQ area, 10 minutes walk to the beaches of Mlini Bay & little town, 10 minutes drive to Dubrovnik Old Town! SLEEPS 4 : Apartment is just 1km from Trogir Unesco World Heritage town and the sea, beach, restaurants and shops are all within a short walk. 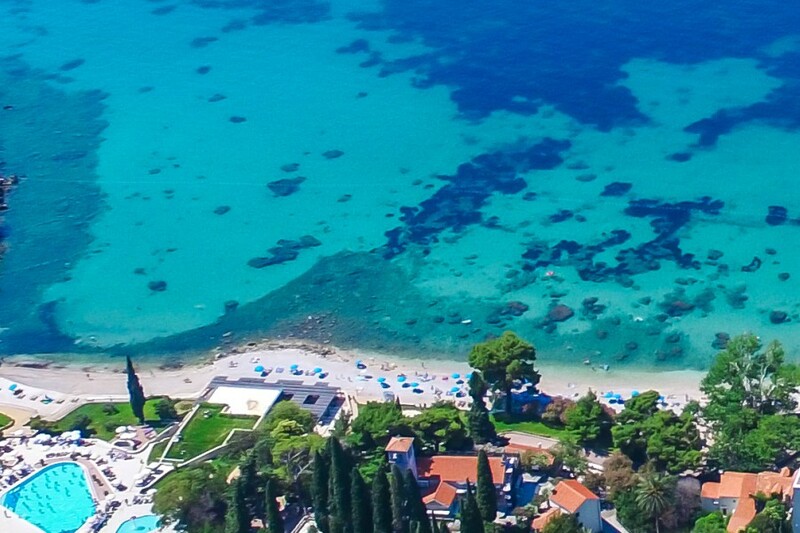 Our aim here at Croatia Gems is to present you with beautiful Croatian villas & apartments in idyllic locations. 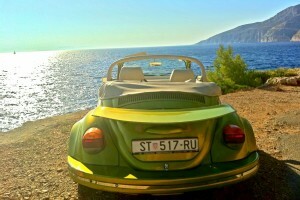 We specialize in Croatia exclusively and so we are well able to do that. We travel extensively in Croatia and know its locations well. This means we know which villas in Croatia are in the best locations and that is really important when considering a villa holiday in Croatia. They say 'location, location, location' and Croatia is all about location! To make the most of its turquoise sea and quaint old towns, full of atmosphere for those balmy summer evenings, it's really worth being in the right spot. Places like Dubrovnik, Split, Trogir, Brac, Korcula, Mljet, Istria, Zadar and Hvar have some stunning places to book a Croatia villa. Each location is different in its own right and whether history and sightseeing is your thing, or speed boats, island hopping or just lounging around a luxury villa with private pool, Croatia has it all. 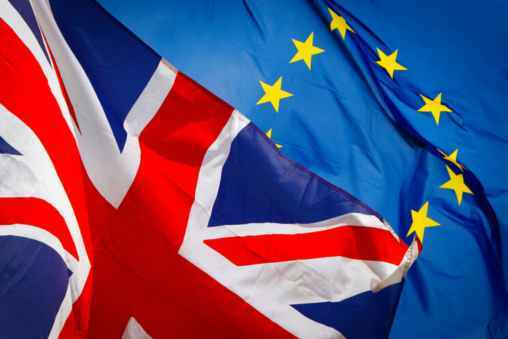 Just ask us for advice and we'll suggest just the villa or apartment for you. The sought after Dubrovnik Riviera is certainly one of the best areas to start if you have never been to Croatia before. Some of the best Croatia villas are in Mlini Bay whose shimmering turquoise bay has probably the most and best Dubrovnik beaches. Just 10 minutes drive to the incredible Old Town of Dubrovnik, the location couldn't be better. Beautiful scenery and, with boats to hop on to take you to the nearby islands or into the old town and a delectable selection of restaurants in the bay, everything you may want to do or see is nearby. Cavtat Bay and Zaton Bay are nearby and will also delight you. For the more active, you haven't kayaked until you've experienced kayaking around the walls of the old town of Dubrovnik, and don't miss out on hearing some of the awesome history of this area. If you can explore further afield, you will be wowed by the beauty of the Old Town of Mostar. Brac Island is also one of our favourite places at the moment. 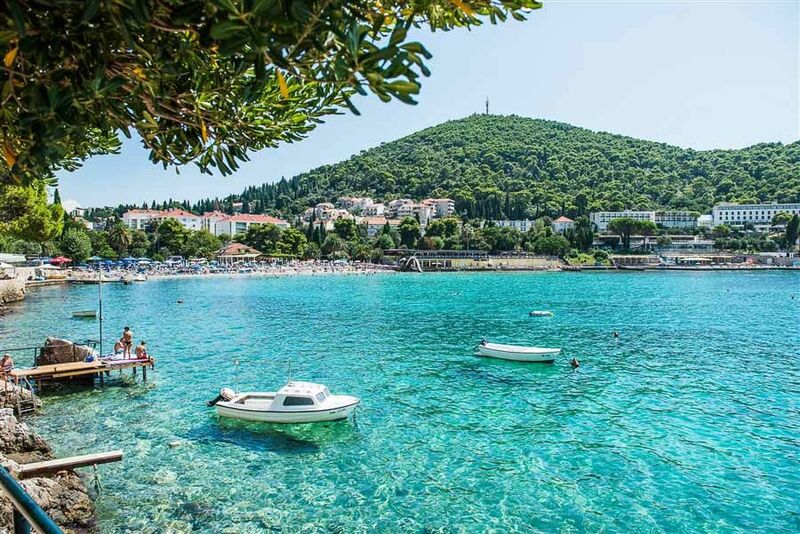 Brac villas in Croatia are in some of the most wonderful locations and if you want to see unspoilt Croatia at its best and stay in pretty, quaint old towns buzzing with ambiance, this is your place. 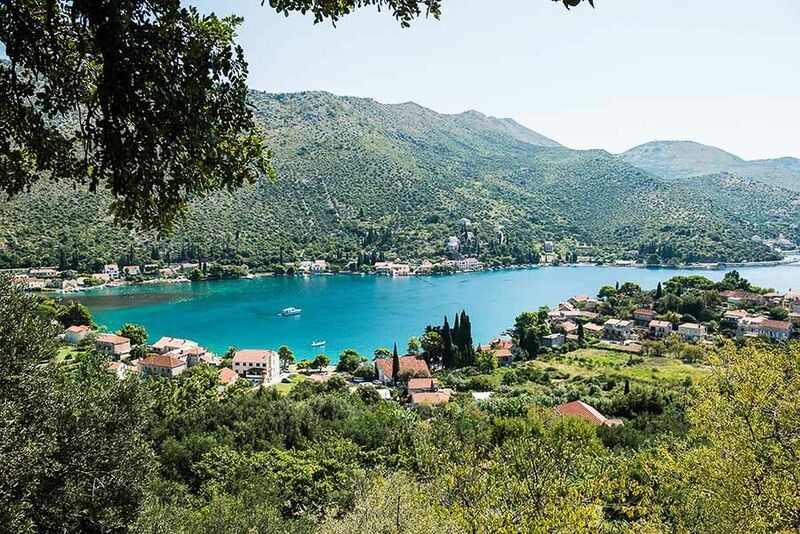 We'd recommend some of the best Croatia villas to be in little places like Sumartin Bay, Milna Bay, Sutivan, Postira, Supetar Bay and around Bol Town. The beaches are exquisite and the little towns are lovely and just the right size. 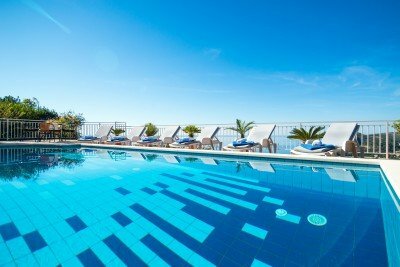 Whether it's a Croatia apartment or villa you want, Brac has a good selection of very nice properties. For activities, excursions and sightseeing, the Split Riviera has so much to offer; roman ruins, old towns, Unesco heritage sights, speed boats to the Dalmatian islands, national parks, the Krka waterfalls, the Plitvice lakes, kayaking... it's all here. Stay in the pretty bays around Trogir Old Town, near Primosten and Sibenik. 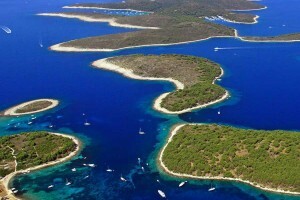 There are many Croatia apartments in this area and some very nice villas also to choose from in a variety of locations.